At this last weekend’s The Summit 7, one team decided to challenge itself. Rather than lean on any one hero, Virtus.Pro would go the opposite way: Try to never pick the same hero twice. We’re don’t know why the team decided to play like this—the consensus seems to be it was either to prove some naysayers, who admonished the team for lacking in hero variety, wrong, or it was just for the fun of it. Either way, Virtus.Pro confirmed on-stream that the team was intentionally trying to pick every hero in the game only once for their entire tournament run. In the games VP played, heroes who haven’t seen the competitive light of day in months got a chance to shine again. 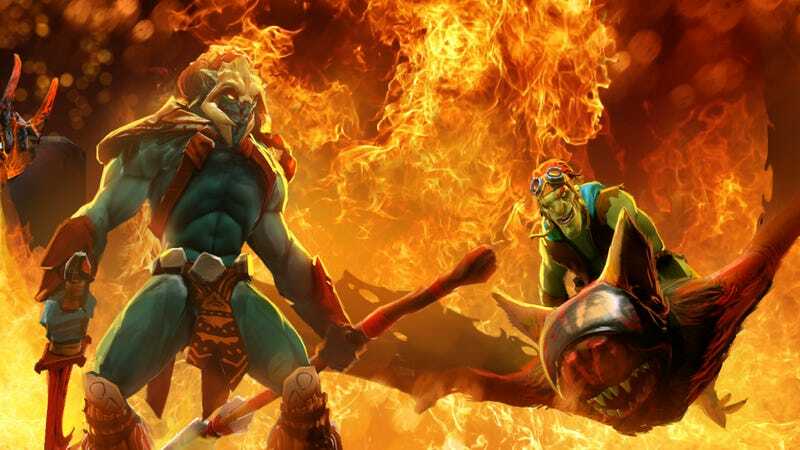 Given five heroes picked per game, and 113 heroes to chose from, the cream of the crop was quickly done away with for niche picks like Viper, Huskar and Lich. As fans followed along and updated a tally of which heroes were still available to VP, it became apparent that Virtus.Pro wasn’t just goofing off. The team shined on a variety of picks, able to turn strange compositions and strategies into winning drafts against the teams in attendance at The Summit. In this clip, LGD attempts to gank (ambush or converge on with intent to kill) mid lane player Vladimir “No[o]ne” Minenko, only to have VP play it out and turn it around for a team wipe of LGD without losing a single hero in the process. Or in the grand finals against Team Secret, where Minenko’s Viper was so far ahead, he had to literally run at the enemy team with half-health to die, typing “KILL ME” in the chat as he did so. 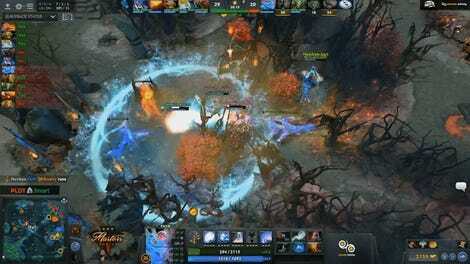 Some drafts even showed shades of previous meta-games, or schools of thought, in Dota strategy. 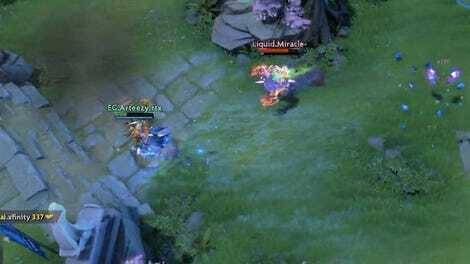 In the same grand finals series against Team Secret, VP drafted Naga Siren, Enigma, Lich and Monkey King. The latter three all have massive ultimate abilities—Enigma with his Black Hole, Lich’s bouncing Chain Frost and Monkey King’s Command, which spawns illusions of himself in an area that beat up anyone inside. The Naga Siren’s singing ultimate let VP set up all three in the perfect position, reminiscent of 2012 and The International 2, a tournament where that playstyle was popular. Ultimately, Virtus.Pro did not complete their challenge. In game 5 of the grand finals, the team picked four heroes they had drafted previously, in a move that was called “the long con.” The team won The Summit 7 anyways, and shortly after, it was announced they would be among the six teams directly invited to this year’s The International 7, currently sitting at an almost $16 million prize pool. In total, Virtus.Pro picked 81 heroes over the course of 17 games, with only four repeat picks in game 5 with Dark Seer, Death Prophet, Sven and Warlock. Here’s a graphic that shows the team’s picks, courtesy of reddit user /u/iamcyn.